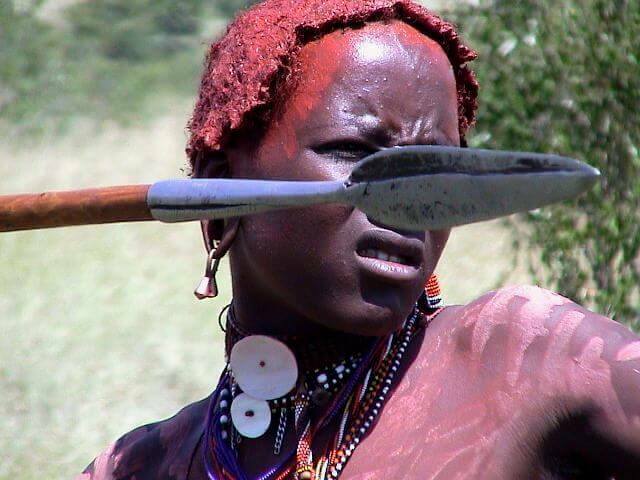 Look at this Maasai Moran (warrior) . You can see how concentrated he was before throwing his spear. 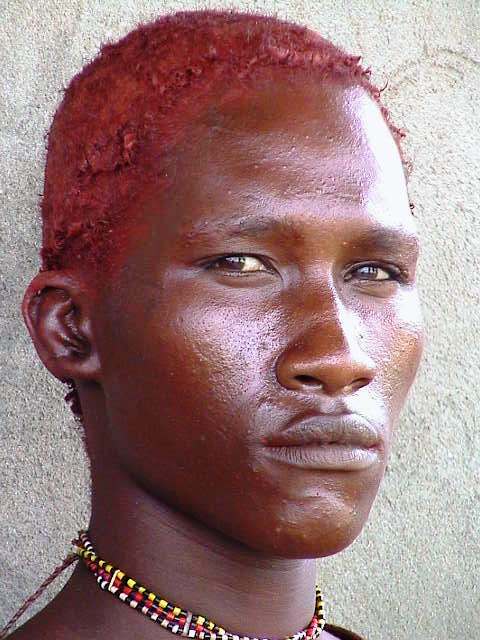 Moran is the name given to a Maasai youth after he passed the initiation ceremony of circumcision. That rite of passage is taking place when the boy is about 16 years old. The operation is performed by a special person from the Ndorobo sub-group that cut the boy with sharp knife, but with no anesthetic. The boy should not say a word, not move a finger tip or eyelid! Any expression of pain is considered big shame to the boy and his family. After healing period that takes about two month, circumcised boy is automatically enters an age-group and join his age mates that now are considered to be Morans. As Morans, they will leave their villages and will spend the next seven (!) years wondering in the Maasailand, learning Maasai traditions from the elders, learning the whereabouts of water springs, green pastor, and whatever they will need to know to survive as elders in case of droughts. The seven years in the bush are for them like a Geography, Botany, Zoology and survival classes. The Morans follow many Taboos, especially considering food: they will not eat any food that was treated by woman or by uncircumcised boys. Therefore, they prefer to get a sheep or goat and slaughter it themselves in the bush. A characteristic of the Morans is the way they adorned themselves: they grow hair and plait it, then smear it with red ochre mixed with fat. The bodies are decorated with red ochre mixed with water. Disclaimer: http://freeafricanphotos.com is a participant in the Amazon Services LLC Associates Program, an affiliate advertising program designed to provide a means for sites to earn advertising fees by advertising and linking to amazon.com.